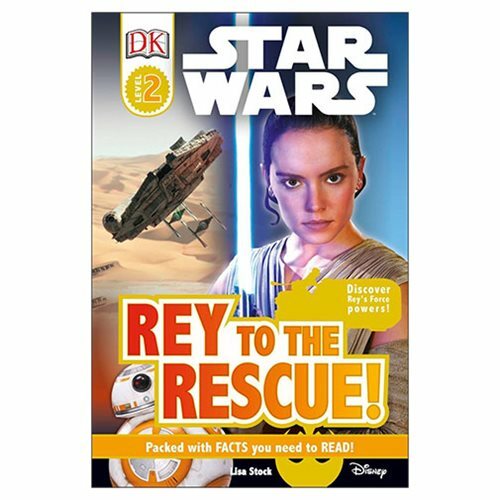 Meet Rey, the brave young heroine from the Star Wars saga in the Star Wars Rey to the Rescue DK Readers 2 Hardcover Book! The book takes a close look at Rey's home planet of Jakku, her fighting and piloting skills, her friends Finn and BB-8, and her evil enemy Kylo Ren in this reader from DK. The 48 page book measures about 9 3/10-inches tall x 6 1/5-inches wide.